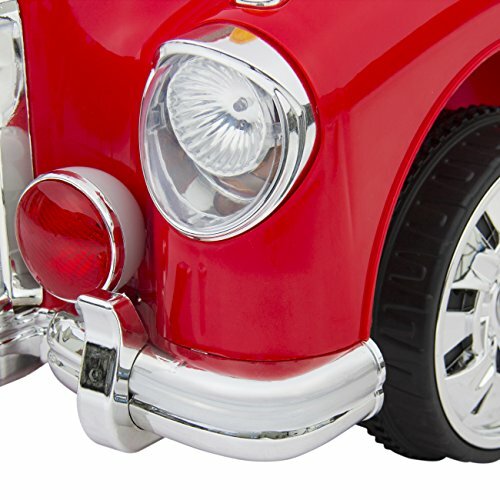 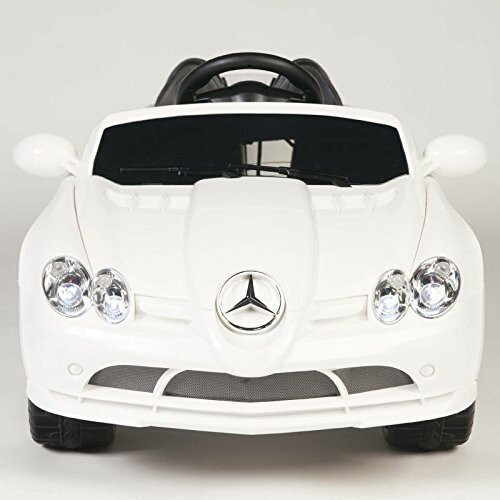 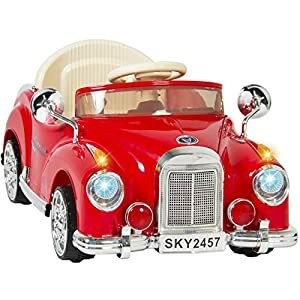 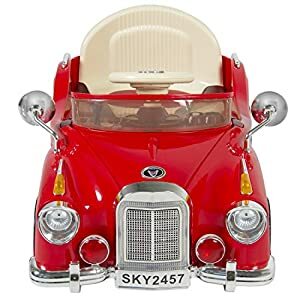 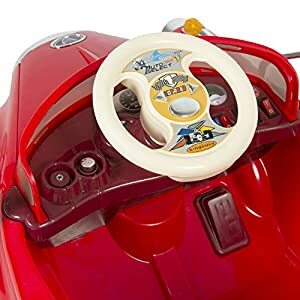 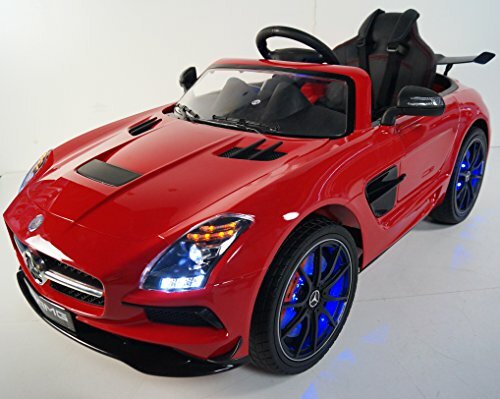 Flip a switch and hear the engine roar with this classic style children’s ride-on car. 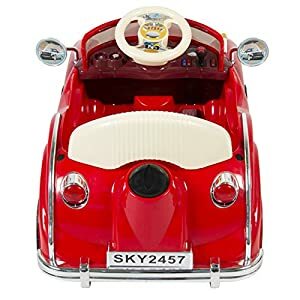 Equipped with functioning headlights, built-in music, and so much more, this little cruiser is sure to keep kids delighted. 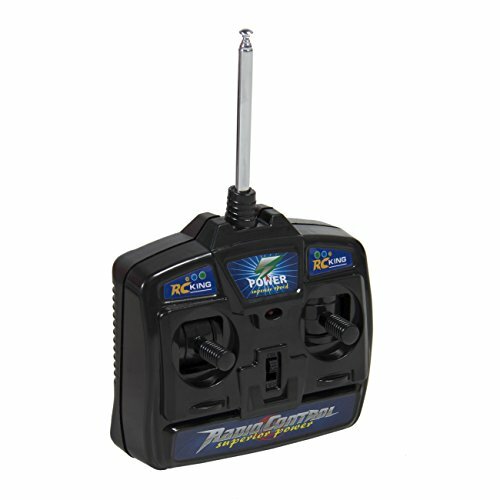 To ensure safety, it also includes a remote control to give parents control of the car if needed. 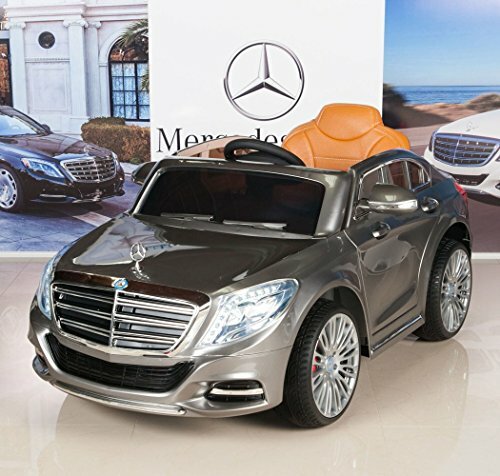 Simply recharge the included battery and let little ones ride in style time and time again! 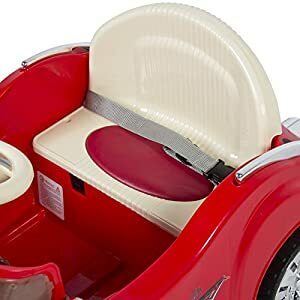 PLEASE NOTE: This ride-on vehicle is intended for one rider at a time. 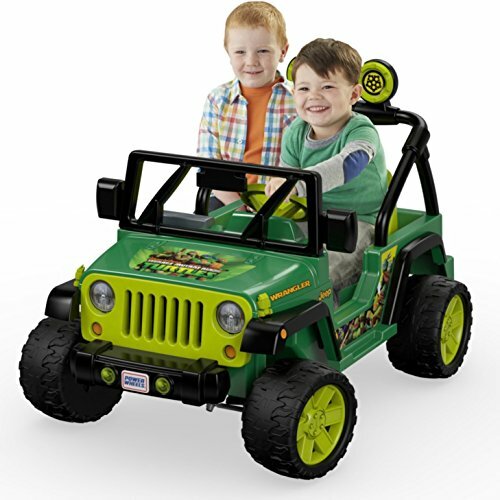 Overall Dimensions: 34″(L) x 19″(W) x 16.5″(H); Weight Capacity: 66 lbs.